Cyber criminals are now buying ad space on YouTube to deliver ransomware. Not a perfect solution for those with files being held for ransom – but a real tool that might help. Our friends at KnowBe4 are so confident in their proactive security training – that they will pay the Bitcoin ransom for any of their customers who become infected with ransomware. Conditions obviously apply – but still a very intriguing offer. 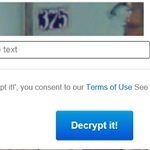 Ransomware gangs are now using spear phishing techniques to deliver CryptoLocker like malware. White list based security solutions appear to be the best hope for safety. 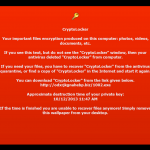 The competition to copy CryptoLocker is heating up and the latest variation is even more technically sophisticated. 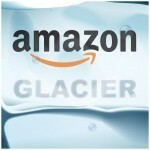 Glacier is a new low cost archival backup storage service and is a good preventative step to get ahead of Cryptolocker. 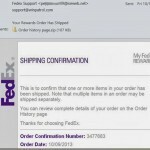 Security researchers fear they have discovered a new form of easy to replicate ransomware. Ransomware variations are now capable of spreading via removable drives. Leo outlines the best way to handle Cryptolocker and other forms of ransomware/malware. 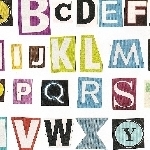 Not surprisingly, new variations of the Cryptolocker ransomware are beginning to emerge. The latest is apparently less sophisticated but no less problematic. Are you the files you have backed up in the cloud — safe from CryptoLocker ransomware? 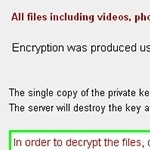 In the last two weeks, there were two new revelations about CryptoLocker.